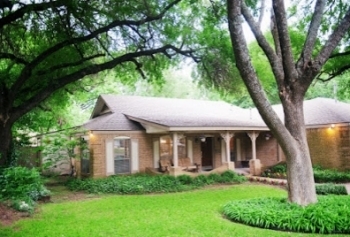 A personal care home (also known as a residential care home) in Texas is a private residences most often within a subdivision that offer personal care services, assistance and supervision to four or more persons. They offer a smaller, more intimate setting, ideal for persons who might not do well with the larger assisted living facilities. They typically provide meals, laundry, housekeeping, medication supervision, assistance with activities of daily living and activity programs. A facility must obtain a Texas Department of Aging and Disability Services (DADS) Assisted Living License (Type A or B). In Texas, anyone with three or less residents (unrelated to them) does not have to be licensed. This generally creates a care ratio of three guests to one care provider. They are not inspected by licensing agency survey staff, and it is very rare to see fire and other alarm systems in those settings. Typically, a personal care home host up to 16 Residents in small-scale properties. Type A - In a Type A facility a resident must be physically and mentally capable of evacuating the facility unassisted. This may include the mobile non-ambulatory persons such as those who are in wheelchairs or electric carts and have the capacity to transfer and evacuate themselves in an emergency. This resident does not require routine attendance during nighttime sleeping hours and must be capable of following directions under emergency conditions. Type B - In a Type B facility a resident may require staff assistance to evacuate and may be incapable of following directions under emergency conditions. They may require attendance during nighttime sleeping hours. The resident may not be permanently bedfast, but may require assistance in transferring to and from a wheelchair. Small - Small facilities are defined as those with 16 residents or less. Large - Large facilities are defined as those with 17 residents or more. Remember, when finding a personal care home keep in mind that in the state of Texas, they are licensed according to size, type and building safety features so be sure to ask what type of license they have. Some personal care homes host three or fewer residents, and therefore, do not require licensing. Medicare does not cover the cost of personal care homes. As an example, if your mother requires skilled care, Medicare will cover rehabilitation and nursing home care. However, it won't cover custodial or intermediary care. For example, it won't cover an at-home health aide unless one is determined to be medically required. Custodial care is non-medical assistance -- either at home or in a nursing or assisted-living facility -- with the activities of daily life (such as bathing, eating, dressing, using the toilet) for someone who's unable to fully perform those activities without help. The biggest difference is that some personal care homes accept Medicaid to help cover the costs of residency but typically have long wait lists. In addition to private funds, other programs such as the Veteran Aid and Attendance Benefits (part of an Improved Pension Benefit), may be available to help pay for room and board. In summary, when choosing a personal care home for a loved one, keep in mind that in Texas they are licensed according to size, type and building safety features. Therefore, it's always a good idea to ask what type of license they have; Type A or B - large or small.